Supporting the Childhelp National Child Abuse Hotline will change the world of a child in need every few minutes. That in turn, will no doubt change the world of everyone for the better. We were not able to process your donation. Every gift matters when it comes to saving lives. 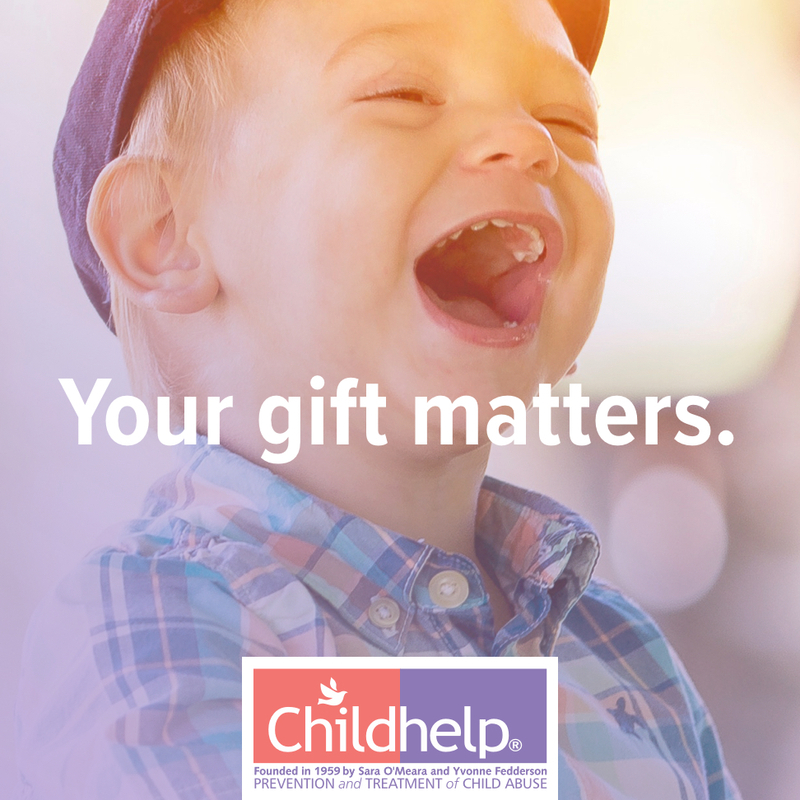 Your gift helps to ensure that Childhelp services will continue to reach those in need. Help us continue this mission by spreading awareness on how serious child abuse is and how you are helping Childhelp to end it. Share your support on your instagram, facebook or twitter. See the impact your gift really makes. See the impact we were able to make with your help. See how your donation is making a difference. In today's age, donors have expressed extreme concern about how charities use their personal information. Childhelp wants to be sure that every donor feels secure in knowing that their information is kept confidential. Childhelp will not share or sell a donor’s personal information, collected online or offline, with anyone else, nor send donor mailings on behalf of other organizations. Childhelp will only share personal information once the donor has given Childhelp written permission to do so. Should a donor have any questions on the ethical practice and security of their information, they can contact Michael Medoro, Chief Development Officer, at 480-922-8212 or by email at mmedoro@childhelp.org.